It's Election Day! 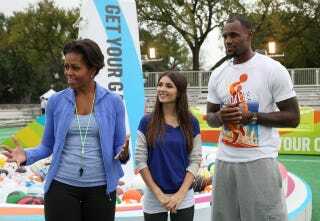 On Monday, LeBron James urged his followers in a gentle and oblique way to vote for Barack Obama. This is a thing that people to do in America, even sports stars. Another thing that people do in America: tell other people not talk about politics, especially sports stars.